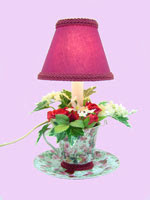 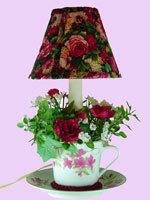 I just added seven more handmade teacup lamps to my website. 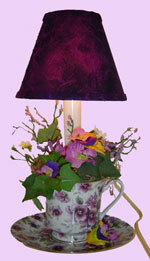 I made them for the Erie Craft Guild's fall show. 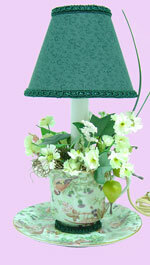 They are all different and one of a kind. 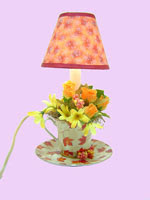 Each is made with a ceramic teacup, electric candle lamp which uses a 15-watt candleabra light bulb, silk flowers, and a handmade lampshade to make the teacup. 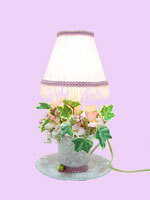 For $30 plus shipping, these make great Christmas gifts. 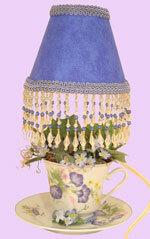 I'm hoping to find more teacups while out shopping today so I can make some more lamps.